I have posted quite a few gluten free pasta recipes recently as I find them so quick and easy after a busy day at work. I also really enjoy gluten free pasta! 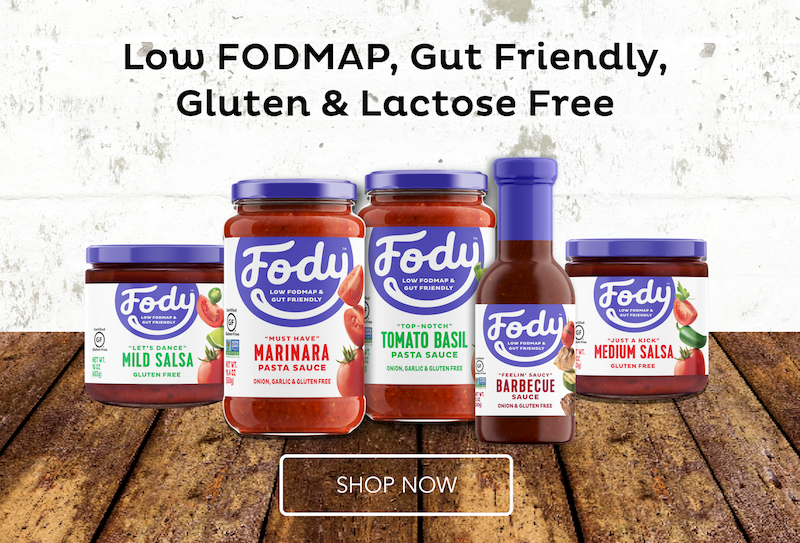 I no longer feel beyond full and like a couch potato after meals now that I’m following the low FODMAP diet and have cut out gluten and wheat from my diet. I often have salmon in the freezer as it’s a great standby meal, and tastes great with anything from a salad to a pasta dish! I also randomly had some prawns in, so I made up this little dish of seafood goodness below. The only downside is that this meal is a little high in lactose, as I haven’t yet found a lactose-free alternative for creme fraiche. If you really suffer with lactose, I’ve heard that you can take a lactase enzyme (they actually put these enzymes into the lactofree products to break down the lactose) to help you digest the potential FODMAP, or you could use Arla’s lactofree single cream instead. Place the spaghetti in a pan of boiling water and leave to cook for 8-10 minutes, stirring occasionally to separate the strands. While the spaghetti is cooking, heat the garlic oil in a large frying pan and begin to cook the salmon. After a couple of minutes, once the salmon appears light pink all over, add the king prawns. Fry for about a minute before adding the white wine, lemon juice and parsley. 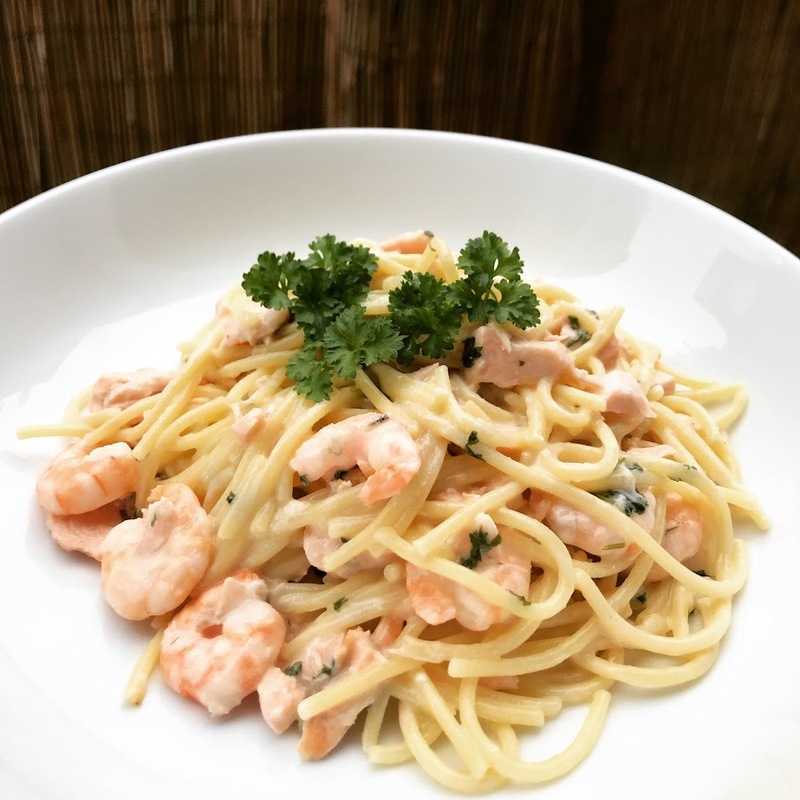 Once the spaghetti is cooked, add the creme fraiche the fish mixture, then stir the spaghetti into the sauce on a low heat, to ensure the fish is evenly distributed. Let me know if you give this pasta recipe a try, leave a comment below, or tag me in your images so that I can share it on my social pages. 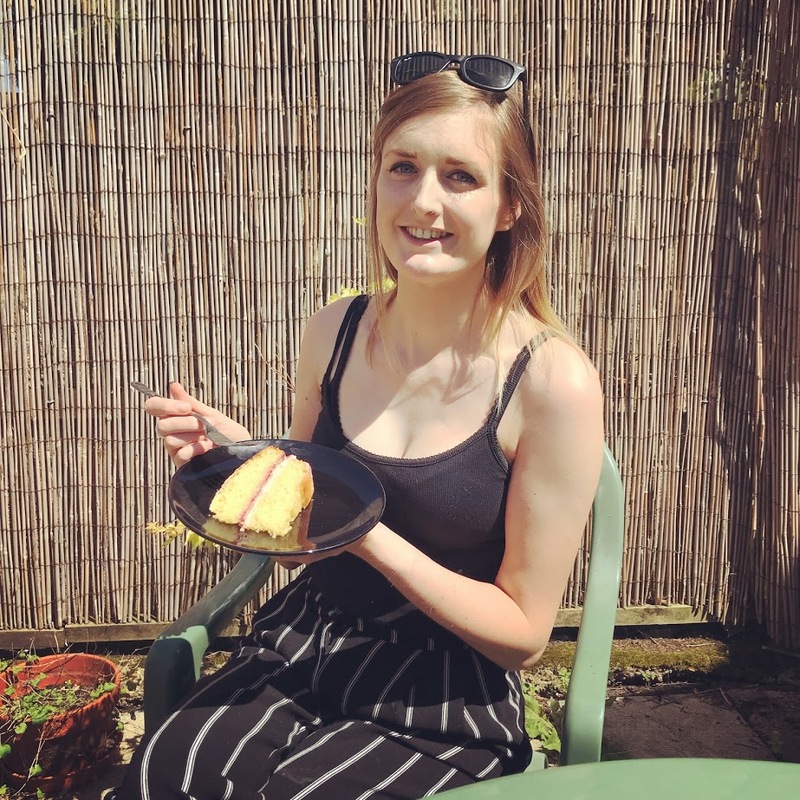 Also make sure you follow me on Facebook, Twitter and Instagram for lots of low FODMAP ideas and recipes!